The El Dorado County Sheriff’s Office is proud of our Explorer POST 457. 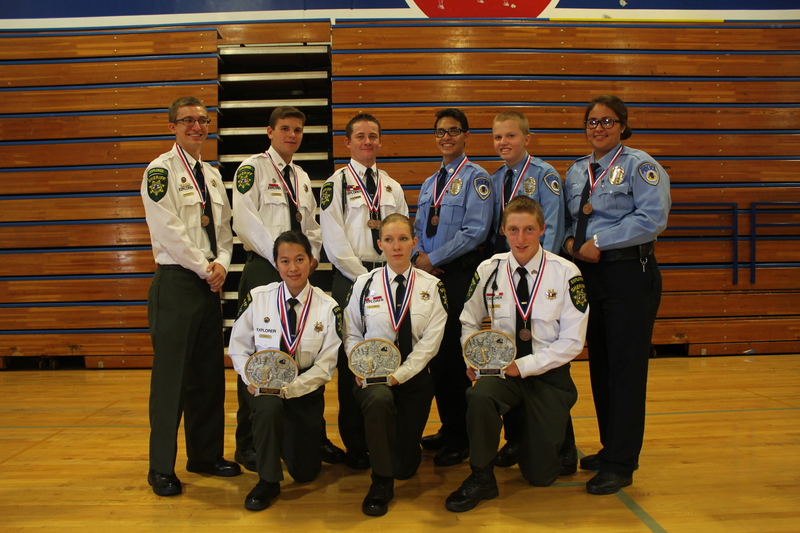 Our Explorers brought back multiple awards from the 2015 Central Valley Explorer Competition that was held July 17, 18, & 19th in Manteca, California. The team representing the POST consisted of 6 members. They were Explorer Captain Dylan Kammerer, Explorer Lieutenant Morgan Sears, Explorer Sergeant Nick Lawrence, Explorer Sergeant Zack Gallavan, Explorer Corporal Richard Barney and Explorer Corporal Grace Hunter. Our Explorers competed against 38 other teams in the three day competition. At the end, POST 457 Explorers took third place in the Crime Scene Scenario. Partnered with the South Lake Tahoe Police Department Explorers, the combined team took third place in the Domestic Violence Situation Scenario and Hostage Negation Scenario. 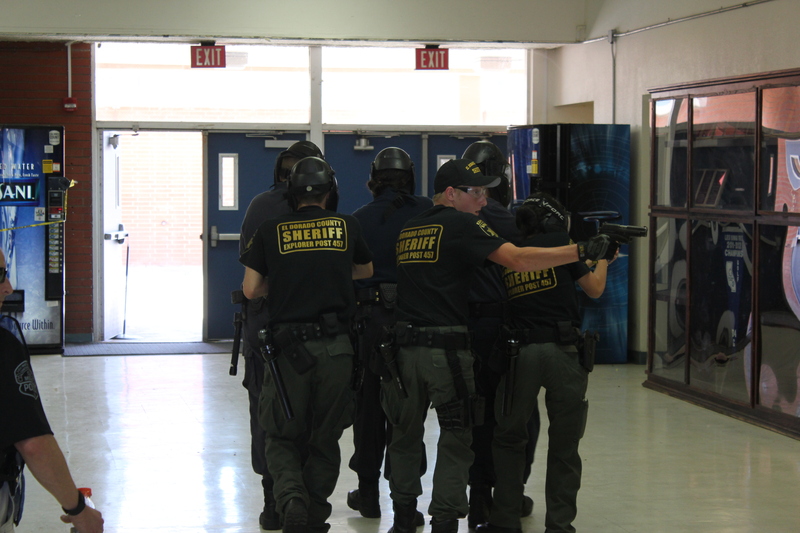 We also competed in 13 other scenarios including active shooter, traffic stop, bus assault, vehicle search, hostage rescue, burglary investigation, running the obstacle course, DUI investigation, a mental health situation, and a high risk traffic stop. Although our Explorers didn’t place in these events, the team learned a lot that will help them train for the next competition. The Explorer POST members and Advisors are able to travel and compete due to donations from the public and the POST’s fund raising efforts all year. Our Explorers help with community service events like Toys for Tots, the Tobacco Use Prevention Program, Color Guard requests, the Search & Rescue Crab Feed, Breakfast with Santa, 4th of July events, the Law Enforcement Memorial Ball, Parades, the Chocolate Affair, National Night Out, and many others. They also do raffles and a yearly spaghetti feed as a way to keep solvent. This year’s spaghetti dinner fund raiser and raffle will be held in October 17th at the Church of the Foothills in Cameron Park. Please come, enjoy, and support this fantastic program for our youth. Competitions such as this foster teamwork, communications skills, discipline, safety, awareness, decision making, personal integrity, service, and leadership. Plus, it is a lot of fun! If you are interested in becoming an Explorer or if you would like to support our POST through a donation please contact an Advisor at 530-642-4733 or email us at explorers@edso.org. 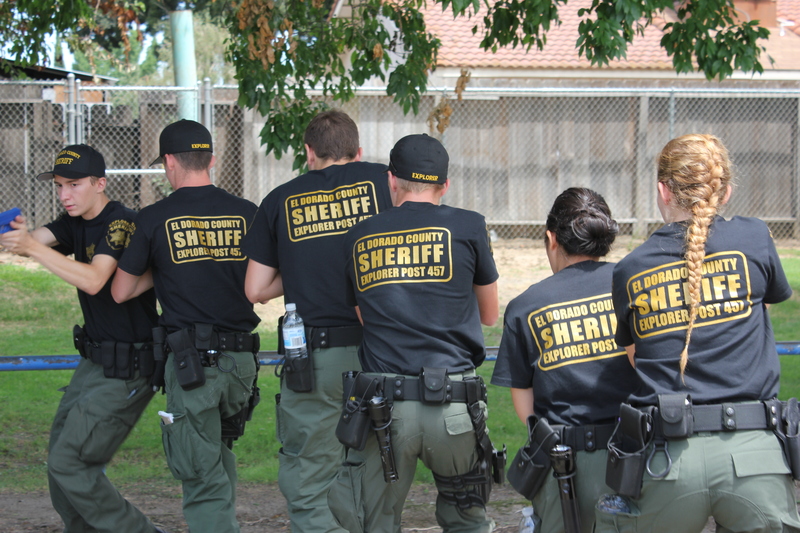 Our website is www.service-life.com/ca/edso and you can also find us on Facebook at El Dorado County Sheriff Explorer POST #457.